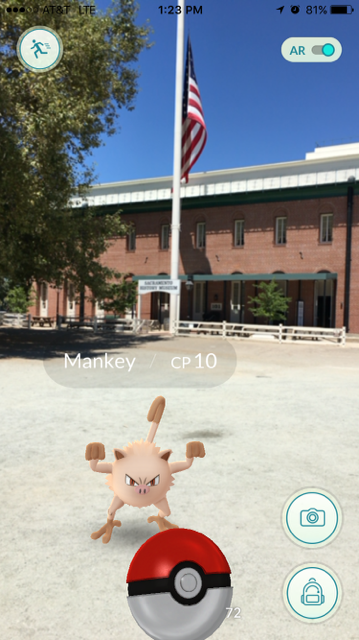 It&apos;s no secret that Pokemon Go is currently the biggest fad on smartphones, and while we here at Visit Sacramento aren&apos;t entirely sure what it&apos;s all about, we thought we&apos;d go see if any of them are finding some of our favorite spots. 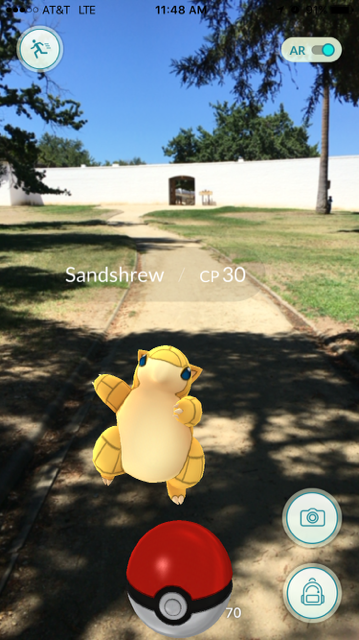 This Sandshrew was so excited to visit the fort built by John Sutter in the 1830s that it jumped for joy when it saw we had our camera out. We aren&apos;t sure what drew it to visit the fort: the educational experiences showcasing pioneer history that makes it one of the top student travel destinations in the state, or the recently renovated exterior walls and its living history actors hanging out by a covered wagon like thousands of pioneers arrived in during the Gold Rush. 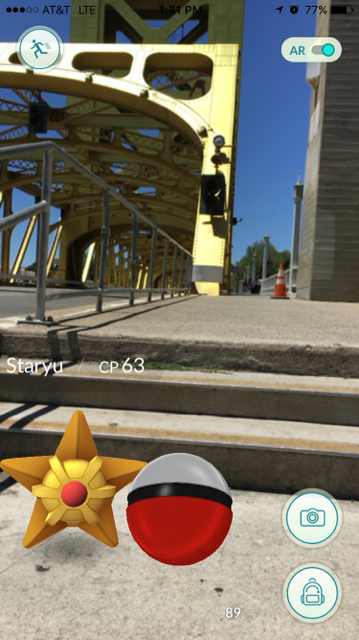 We found a Staryu hanging out on Tower Bridge, which is about 100 years newer than Sutter&apos;s Fort and is one of Sacramento&apos;s gleaming landmarks. Formerly the main entrance to Sacramento, with the California State Capitol at the other end of Capitol Mall, it is still one of the most common ways people cross the Sacramento River. Whenever a particularly large ship heads down the river, watch this golden drawbridge raise to let it through. Walking through Capitol Park, this (these?) 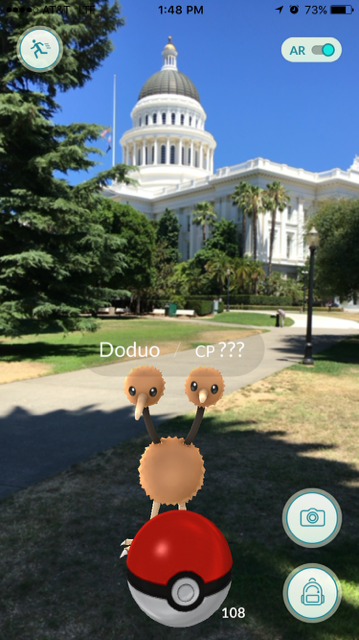 Doduo came to say hi and remind us that the California State Capitol is not only the place to see California&apos;s decisionmakers at work, it&apos;s also a museum that shows the history of the building, with many preserved and restored rooms in their original configurations. Admittance is free. 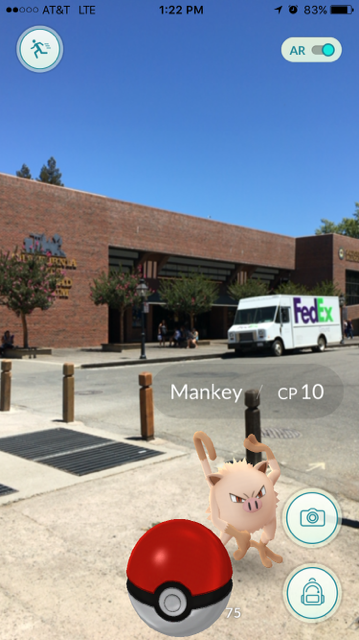 This Mankey wanted to learn more about Sacramento&apos;s history and the Gold Rush, and it went to the right place. The Sacramento History Museum is the authority on the city&apos;s past, and it&apos;s also where you go to start the popular underground tours. We&apos;re not sure if this is the same little dude, but if so, he&apos;s well on his way to being an expert in California history with this visit to the California State Railroad Museum. Inside, visitors can climb aboard many historical locomotives and train cars. Favorites include the dining car and mail car, but visitors also learn about the building of the Transcontinental Railroad and other contributions of California&apos;s railway heritage. Head upstairs to check out the model train exhibit with plenty of stunning layouts. 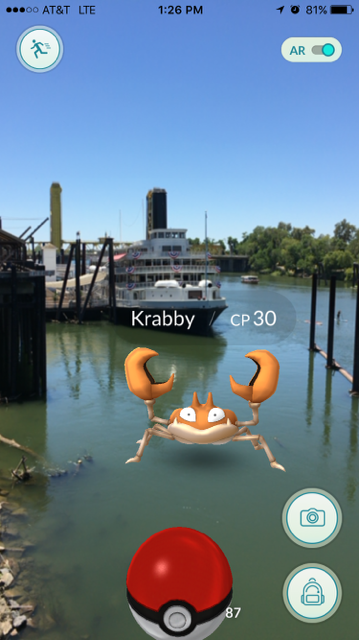 This Krabby looks a little, well, crabby, and probably needs a nap, so it&apos;s a good thing he&apos;s found his way to the Delta King, a historic paddle-wheeler that now houses a hotel, restaurant and event space. Visitors are always impressed with the ship&apos;s ambiance, whether it&apos;s the staterooms, the Pilothouse Restaurant on the bow or even just the view of the historic vessel from the dock. Sacramento is home to lots of restaurants, and as America&apos;s Farm-to-Fork Capital, it has some of the best food in the country. 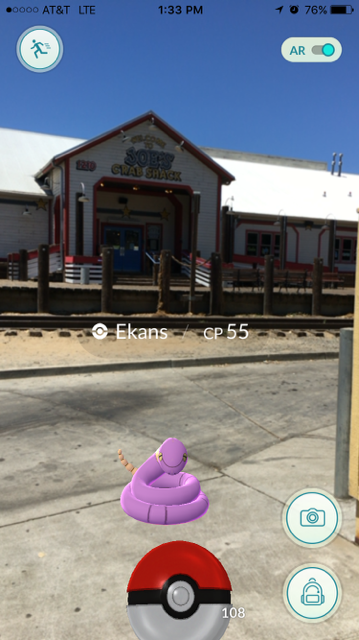 This Ekans looks like it opted for some seafood at Joe&apos;s Crab Shack on the waterfront in Old Sacramento.